The March 19, 2015 issue of the Troy Times-Tribune is available. This week's edition carries a special Madison County Voter Information Guide insert about the April 7 Consolidated Election. 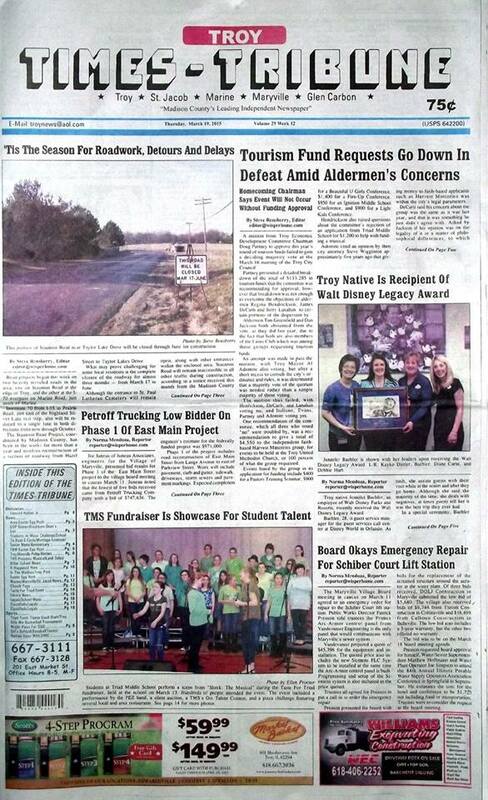 Some of the hot stories in this week's edition: Tourism Fund Requests Go Down in Defeat Amid Aldermen's Concerns, The Season of Roadwork Begins, Troy Native is Recipient of Walt Disney Legacy Award, Petroff Trucking is Low Bidder on Phase I of East Main Street Project in Maryville, Maryville Board Okays Emergency Repair for Schiber Court Lift Station, TMS Fundraiser is Showcase for Student Talent, Boys Track Team Does Well at Edwardsville Invite, Softball Team Looks to Stay Atop MVC; plus we have our usual features, a ton of police blotters, a full-page photo spread on the Taste for Triad Event, lots of news about upcoming events and activities, and a column from our editor giving the local Chamber of Commerce a thumb up! 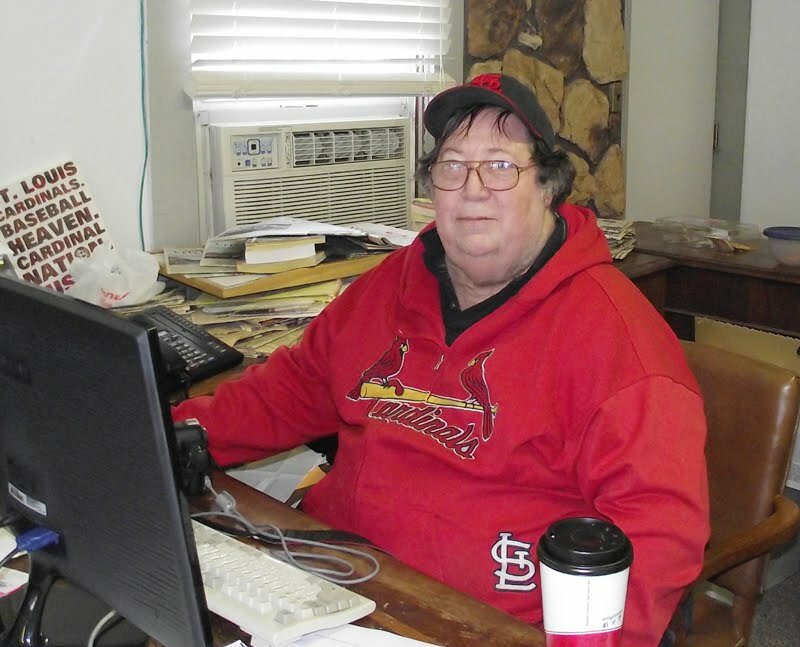 We have obituaries for Edmund Holton Jr.